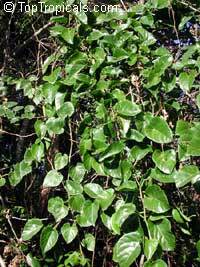 Fast growing ornamental vine with woody stems and waxy dark green leaves. 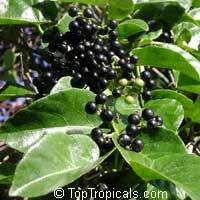 Black grape-like fruit are very showy in fall. 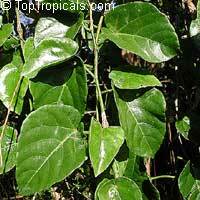 Medicinal plant popularly known in Brazil as cipo-puca, insulina. 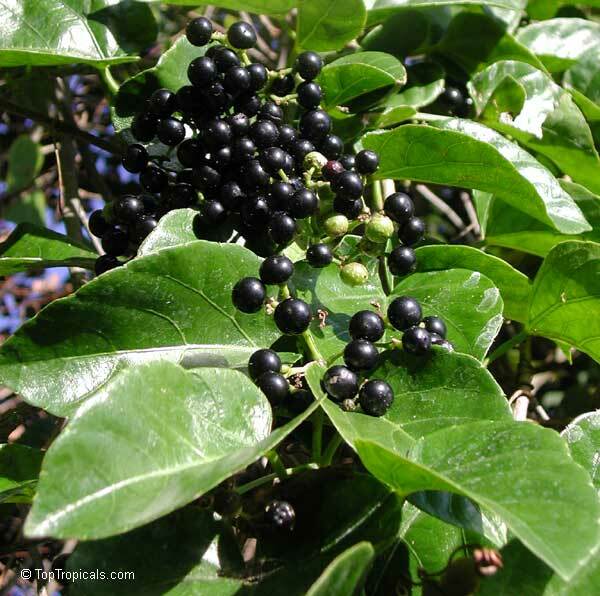 The plant is used in several diseases, including rheumatism, epilepsy, stroke and also in the treatment of diabetes. 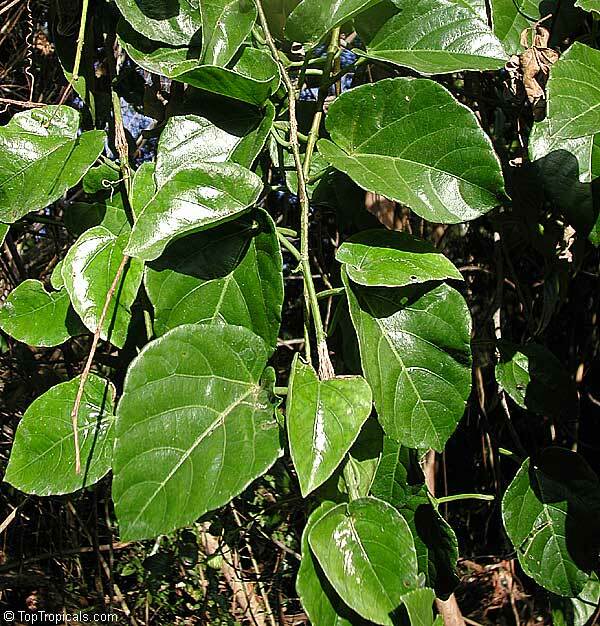 Leaf decoctions of Cissus sicyoides are taken widely as a popular remedy for diabetes mellitus in Brazil, where its common name is vegetal insulin.